The mayor of the Mexican border town of Tijuana says that the 5,000 migrants who have arrived in several caravans have unleashed a 'humanitarian crisis' and he is now asking the United Nations for emergency aid. 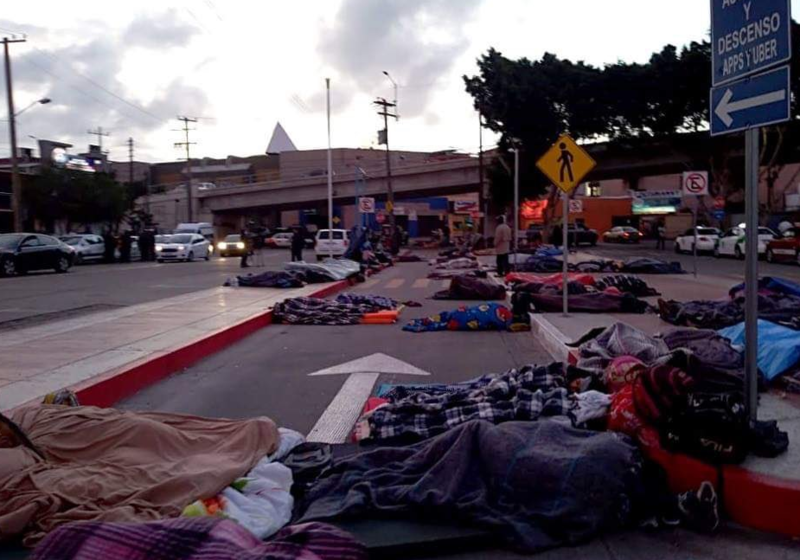 People are sleeping along busy roads, sometimes in the middle of small streets and at best in the migrant complex that was quickly improvised; the mayor of the Mexican border town of Tijuana has announced that the migrant caravan, stranded in his city, makes it impossible for his residents to live normally. Some 5,000 migrants, for whom the mayor does not want to use public funds from the city, may stay in his streets for months. Only volunteers and civil servants are still willing to help the caravan, leading to deplorable living conditions and hostility from the local population. Related coverage: <a href="https://thegoldwater.com/news/43059-Caravan-San-Diego-News-Station-Says-Pedestrian-Border-Crossing-Now-Like-A-War-Zone-Video#43061"> Caravan - San Diego News Station Says Pedestrian Border Crossing Now Like ‘A War Zone’ (Video)</a>. The mayor also calls for a state of emergency and urgently requests the United Nations for aid. Mayor Juan Manuel Gastelum said: "they have categorically omitted and not complied with their legal obligations," he said. "So we're now asking them and international humanitarian aid groups to bring in and carry out humanitarian assistance." "I will not compromise public services," Gastelum told reporters from city hall. "I will not spend Tijuanans' money, I will not bring Tijuana into debt now, in the same way, we haven't done so these past two years." The caravan, which mainly consists of migrants from Honduras, El Salvador and Nicaragua, was warmly welcomed in most places where they stayed for 1 or 2 nights during their passage through Mexico. However, Tijuana is the last stopping place for the migrants wanting to enter the US and it is expected they will have to remain there for weeks or even months. President Donald Trump announced Thursday that he wants to completely close the southern border. "That caravan is full of criminals, gang members and possibly terrorists," the US President declared. "They will not cross the border." If Trump effectively closes the border, it could take months to more than a year before the caravan gets out of Tijuana. Furthermore, the state government estimates there are also at least 1,500 migrants currently in neighboring Mexicali, with a second caravan making its way to the city.